From now on, our users will be able to withdraw their earnings with better conditions, being charged a considerably lower commission. Thus, a fee for withdrawing US Dollars via bank transfer has decreased from $50 to $35 per transaction. Meanwhile, withdrawal cost in EUR remains only €10 within an ordinary SWIFT withdrawal, and €0.4 per SEPA payment. 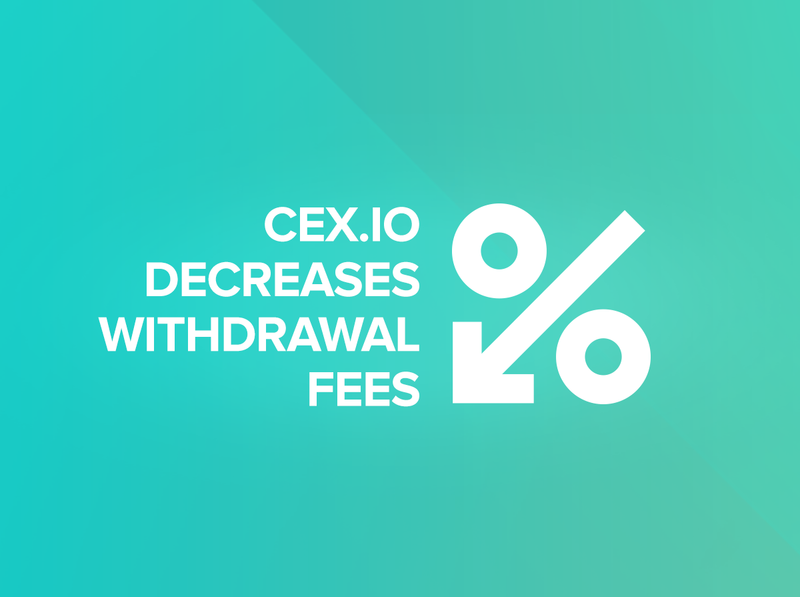 Apart from lowering costs, CEX.IO halves minimum limits for US Dollars withdrawals, from $200 to $100. Euro withdrawals have decreased from €200 to only €30. Apart from that, we have upgraded individual approach to each user of CEX.IO exchange. Considering wide range of user types and their expectations from our platform, we have recently added Individual Business and Corporate accounts, which allow getting custom conditions and limits. Check out your profile to experience an improved visual representation of limits and commissions within a user-friendly spreadsheet placed in the respective tab of their CEX.IO profile, which provides a detailed overview of account opportunities and presents account types. We believe that with such new improvements, our users will expand their possibilities and will be able to withdraw less amounts with lower commissions. This is a great opportunity to start dealing with the Bitcoin ecosystem and buy your first Bitcoin.